Rhythms in life feel familiar and welcomed. Newness awaits. 2017 was the year of Wonder(Full). It was intended to be full of wonder, full of busyness, and wonderful. And it lived up to its name. 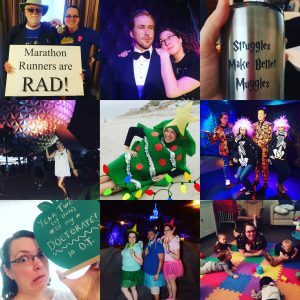 In 2017, I ran a marathon, got published, taught a course, completed a year of doctoral work, survived a hurricane, made new friends, saw many theater productions, laughed a lot, and served faithfully at work. It was a year of Wonder. I could share only my best moments, the highlights of 2017, and while they are wonderful, they wouldn’t be the whole story. In 2017 I also had my heart broken, felt lonely, dealt with disappointments, and injustices. I cried a lot and worked through more than one midlife crisis. 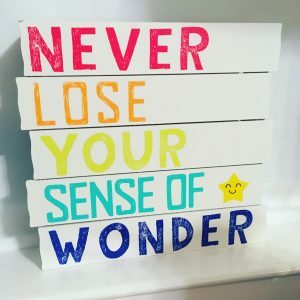 I frequently wished for more wonder and less busyness in my life. I believe that all stages of life always contain both emotions: joy and sorrow. Triumph and disappointment. Progress and stagnancy. Grit means perseverance for long-term goals. Connotations include: endurance, fierceness, defiant optimism, courage, and strength of character. Grit captures all the hustle that this year will no doubt hold. I will be experiencing schedule changes at work, choosing and attacking doctoral projects, and balancing these and other obligations in all of life. It will take grit. Running with endurance is grit. Walking when you need a respite is grace. Hustle, yes, but also be kind to yourself. Expect to succeed, and deal redemptively with failures when they inevitably come. Happy New Year! Here’s to a balance of stick-to-it-iveness and self-care. That’s Grit with Grace. I ❤️ grit with grace for you – that feels like a perfect fit for 2018! I appreciate so many things about you friend, including your honesty and keeping it real.